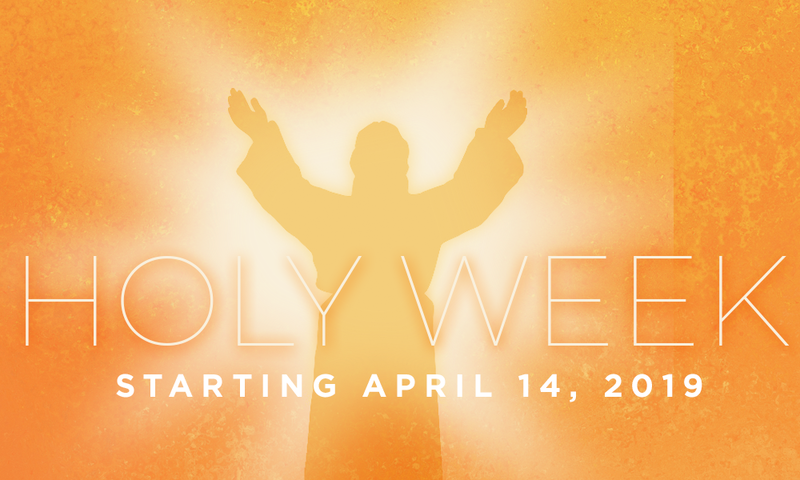 We Invite you to join us for Holy Week. This is the week between Palm Sunday and Easter Sunday. In this week we remember the drama and events that took place when Jesus was in Jerusalem and gave us His Ultimate Sacrifice. We have special services through the week each observing a special event of Holy Week. You are invited to join us for any one or all services that week. Seder Meal & Service "Christ in the Passover"
Living a life of service is what defines being a Christian. Come hear about how Jesus showed His love for you in this Holy Communion service remembering the Last Supper. NOTE: 5th Graders partake in First Holy Communion. This is one of the most impacting services we have. Remembering the moments and the words Jesus spoke while he hung upon the Cross. We end the service in solitude to then return to Church on Easter full of celebration. If you can’t make it Sunday come early on Saturday evening and get the full celebration of Jesus’ resurrection conquering death. We start early at first light down on Aliso Beach with worship and then we move into a full day of celebration and worship at both campuses. Come join in with us and stay for food and fun after.